Apollo are delighted to announce their sponsorship of The Belgian Project. At a recent committee meeting it was proposed and passed that Apollo would become a ‘medium’ sponsor with the Belgian Project. 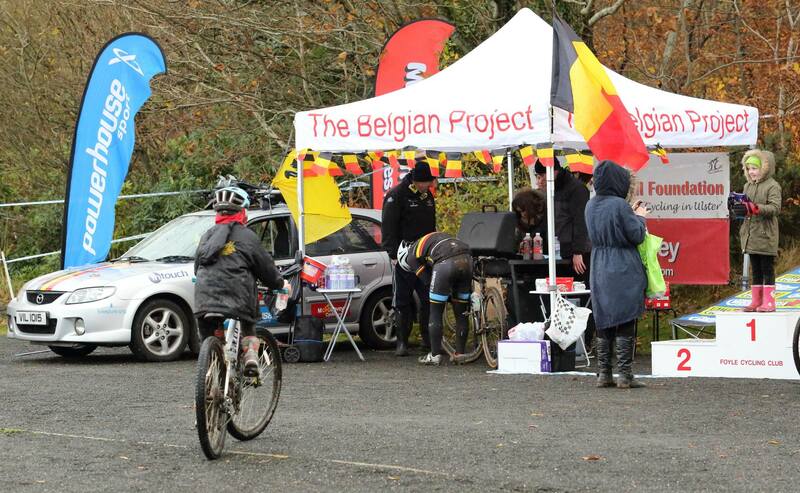 The Belgian Project is at the forefront of promoting Irish youth and giving them the opportunity to race in major races both in Belgium and Ireland. The project has helped place countless young Irish riders in Belgium, giving them exposure to some quality racing and training in the sport’s European heartland. Dany has been engrossed in the sport all his life and his passion has remained undiminished since he moved to Newtownards after he got married 25 years ago. He feels just about as Irish as any of the riders he places in his home country every year. Awarded volunteer of the year 2015 at the recent Cycling Ireland Awards just shows his commitment to the sport. Apollo CT recently started the very successful Apollo Rockets, which now boosts over 50 children in the club. They have recently been awarded the Lidl Community Works award, seeing £2000 of equipment and clothing supplied to them. The committee all agree in this current climate, cycling has a shortage of youth in the sport, hence the Rockets were initially formed. Club Vice Chairman Sean Bingham spoke passionately of the need to promote youth not only in our own club but in the sport in general. Robbie Smyth one of the Rockets coaches commented on the coverage the Belgian Project gives across social media with Rockets featuring heavily in their photos. All of the committee agreed that the youth were the future of the club. Look out for the Belgian Project team car in 2016 with Apollo CT on the side and go and say hi to Dany, all of us at Apollo CT wish him every continued success for the 2016 season, and you never know one day we might have a youth member on the Belgian Project. This entry was posted in Apollo Rockets, General Information and tagged slider. Bookmark the permalink. Error: Error validating access token: Session has expired on Saturday, 09-Feb-19 01:43:10 PST. The current time is Saturday, 20-Apr-19 03:19:23 PDT.